It feels as though 11 weeks has gone by quite fast...and yet, as though no time's passed at all. 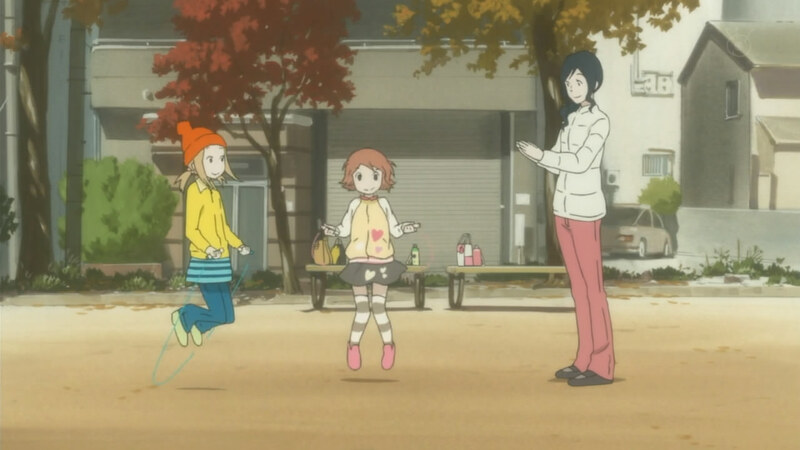 Just like with HikaGo, I had no idea that anyone had changed at all until it was pointed out. It was a feel-good ending to a feel-good anime; at least it's consistent. Being the last episode, I had thought that there might be some kind of "big story" taking place. Barring that, I thought that at least it would be the conclusion to the "trilogy" that had been occurring with Kouki and his mother. Strangely, it was really neither of that. While the episode began right after ep10 left off, with Daikichi taking Rin and Kouki grocery shopping in order to pick up some things for the ailing woman, she didn't actually get much screentime (on her own, at least). Dropping off the food at Kouki's house, Daikichi came face-to-face with Kouki's mother as she looked without make-up on. (It was pretty okay, to be honest.) 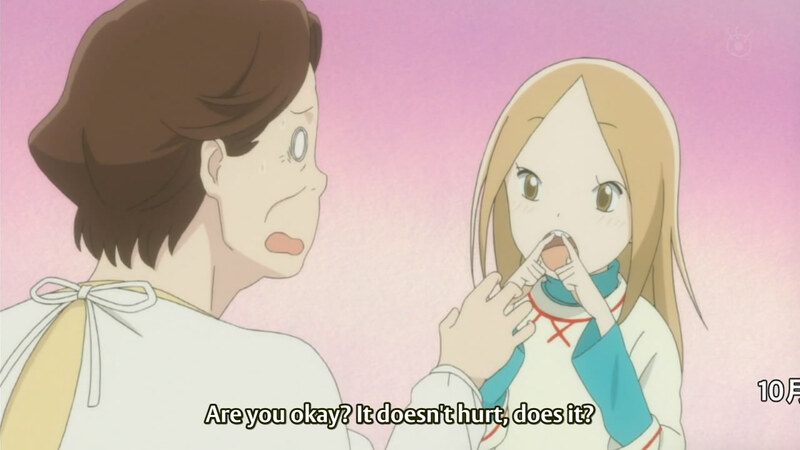 While he had been able to placate Rin earlier when she had been worried that it was her fault Kouki's mother was sick, it turned out that Daikichi was actually full of worry about that fact himself. 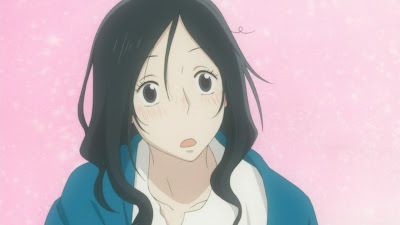 Being incredibly kind-hearted, though, Kouki's mother made it clear that she didn't blame Rin or Daikichi, or regret her time spent taking care of the child. 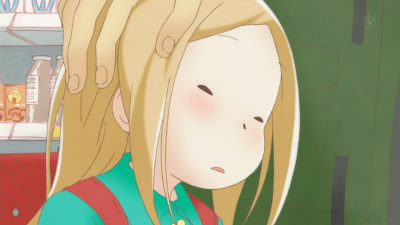 In fact, given how many people she came into contact with everyday, there was no reason to think that she was sick because of Rin. 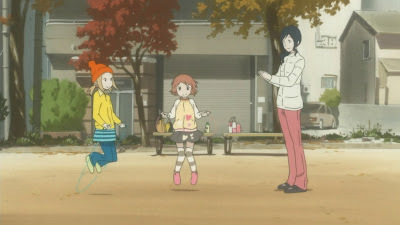 The next plot point of this episode was a skipping competition being held at the elementary school, for which the two households got together once more. Since he had been networking, the two men from the previous episode came over as well, with their respective offspring. 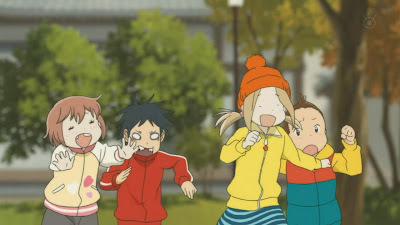 Daikichi helped out both Kouki and Rin with their jumping, while finding out that there were little containers where children could store their baby teeth. (I hope the teeth are cleaned first.) 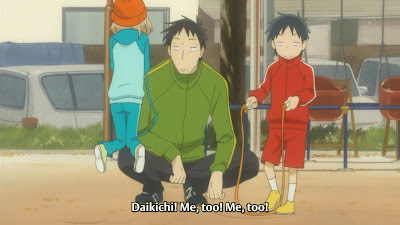 The next time the children got together to practice, Daikichi brought along another rope so that he could also join in (much like the other two men, while Kouki's mother most likely does secret exercise routines/classes). While the girls quietly played, the boys ran around wildly. It actually was a little strange to see the gender unbalance with the 4 families - there were three men and just one woman. I know that the stylish guy is a single father, but is his friend separated/divorced too? I am a little pleased to see that a "broken home" isn't such a mark in the society portrayed here; single parents have enough to worry about without having to deal with hushed whispers about their children not growing up right, I think. The scene ended with Daikichi talking to the other parents and commenting that he thought they were amazing. He had only been with Rin for a year or so, whereas they had been doing it for their kid's entire lifetime. His question - how they were able to deal - was left unanswered until a flashback later in the episode. She does look like someone punched her lights out. The last few minutes of the episode actually felt most like a montage, due to the tiny flashbacks to events that had occurred in previous episodes. I think the general feel was that Daikichi was happy with his current life, despite all the whirlwind changes. Judging from the scenes, it seemed as though Rin was also quite happy with her current life; she seemed to have come out of her shell (though I really didn't know that the slightly shy girl wasn't just her personality). 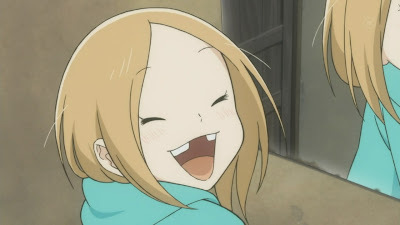 What's wrong with Kouki's teeth?